DO YOU LOVE EGYPTIAN CULTURE? 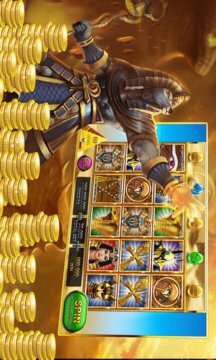 DOWNLOAD SLOTS - PHARAOH'S QUEST, TRAVAL WITH THE PHARAOH , ENJOY THE FUN OF PLAYING SLOTS AND EXPERIENCE THE ANCIENT EGYPT. Multiple new modes are designed to give a totally new experience of playing slots machines. Enjoy the excitement of playing Vegas Slot and also the thrills to kill the evils. Every slots machine have unique play style that keep interesting. Unique mini game for every machine that provides full of fun. LOVE PLAYING SLOTS,LOVING EGYOT CULTURE,DOWNLOAD SLOTS - PHARAOH'S LEGEND, ENJOY IT . - Varying slots machines and play styles are never boring. - Unique mini game added for every machine. 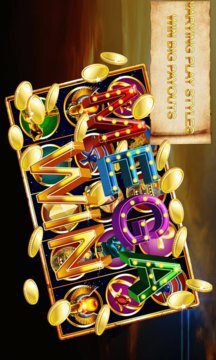 - Easy to play and win large amount of chips. - Lots of way to earn chips! - Extra bonus chips each hour! - New slots machine will be added every two weeks!